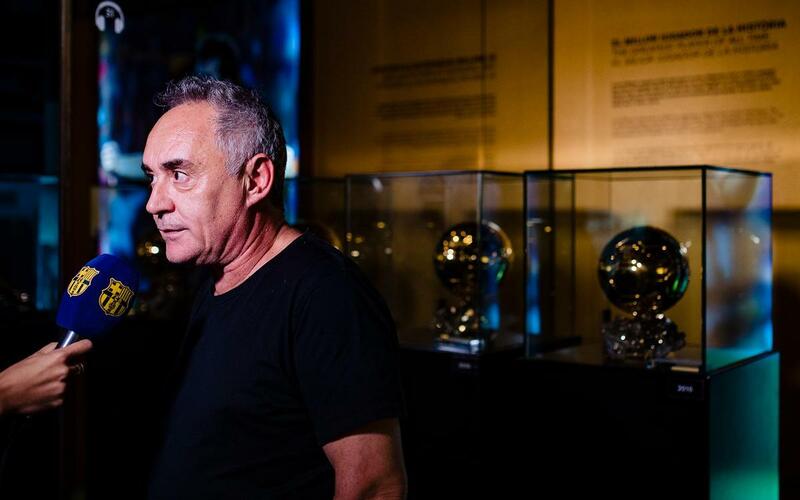 The chef is a big fan of the Argentinian star, highlighting "his intelligence and capacity to apply it to football"
World-renowned chef Ferran Adrià visited the FC Barcelona Museum recently, and spoke about his passion for Barça. A diehard 'Culé', he acknowledged that he "has huge admiration for Lionel Messi" and expressed his opinion that the Argentine is "the best player in history" because of his longevity. Adrià also pointed out that "Few people are able to understand Messi's intelligence. He has an amazing capability for applying it to football." "Messi has the talent to see what nobody else sees on the pitch," continued the Michelin-star winner, who compared the Barça forward to Pablo Picasso for his artistry with the ball at his feet.